July 18-20 1944 saw the British offensive known as Operation Goodwood. The UK faced Germany in Normandy over the two-day tank battle, arguably the largest Britain fought, but ultimately costly to both sides. However, Allied forces came away with the operational victory. Our weekend event calls back to Goodwood with the following specials. 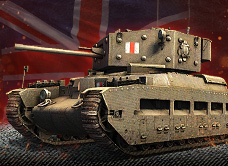 Freedom to Play (FTP) rewards players with the never-before-seen FV201 (A45) Premium heavy tank! 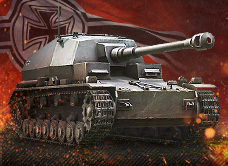 Accept the challenge and earn a ton of free Premium goodies along the way! Deal 5,000 points of direct damage over any number of vehicles. Complete Operation Atlantic: Approaching Caen five times. 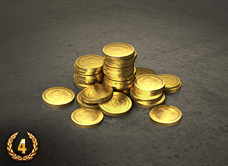 Survive a battle and place in your team's top 5 XP earners. Play in three unranked team battles. Play in three ranked team battles.